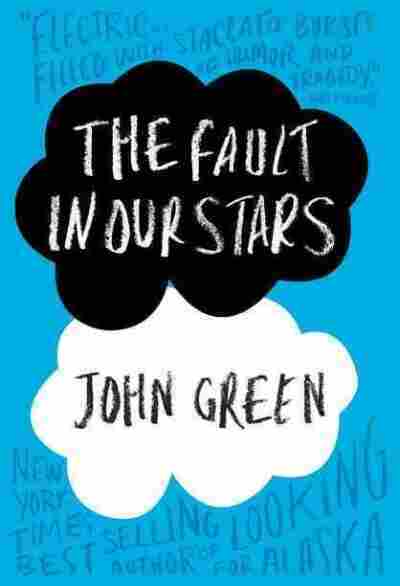 'Star'-Crossed: When Teens With Cancer Fall In Love You wouldn't necessarily think of a cancer support group as a place where teens meet and fall in love — but that's exactly what happens to Hazel and Augustus, the young protagonists in The Fault in Our Stars, the latest from author John Green. You wouldn't necessarily think of a cancer support group as a place where teens meet and fall in love — but that's exactly what happens to Hazel and Augustus, the young protagonists in The Fault in Our Stars, the latest from author John Green. Hazel is 16 — she has thyroid cancer with a "satellite" in the lungs that makes her feel like she's drowning. Augustus, or Gus, is a little older, lithe and handsome. He's lost a quarter of a leg to cancer but tells people, "I'm on a roller coaster that only goes up." They meet in a support group for young cancer patients that's held in a church basement: two smart, funny, doomed young people in Indianapolis who find support groups a pompous bore, but sure are glad to find each other. "The characters came to me first," Green tells NPR's Scott Simon. "I worked as a student chaplain at a children's hospital about 12 years ago for five months. During that time I started wanting to write about these kinds of young people — it just took awhile." "All of the people I've known who were sick — young or old — were still funny. It's important to note or remember that people who are sick and people who are dying aren't dead. They're still alive. And sometimes we forget that, and we treat the sick and the dying so gingerly and so carefully, when often what they most want is to be alive while they are alive. And so I've known a lot of young people who were very sick but also very, very funny, and often in dark, dark ways." 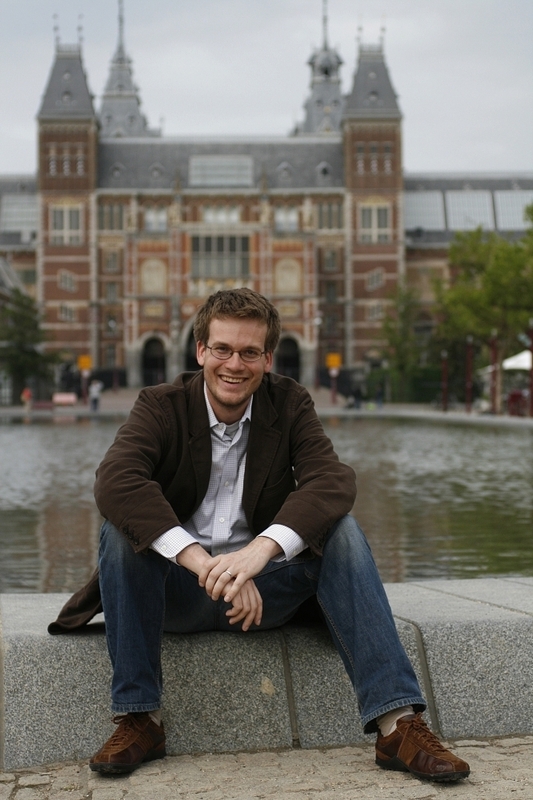 John Green is the author of Looking for Alaska, An Abundance of Katherines and Paper Towns. He is one half of the popular online video site Vlogbrothers, which he runs with his brother Hank. "I think cancer in many ways to those of us alive today is similar to what tuberculosis was like in the 19th century. It's so unfair: It takes the young, it takes the old. Sometimes you live, sometimes you die. And it's very difficult to make sense of the reasons why it may go one way or another. It's very, very difficult to imagine it as anything other than just cruel and cold and capricious. And that makes it difficult to imagine the universe as anything other than cold and capricious. And I wanted to be honest about that, because I wanted them to have to face, in the most desperate way, that overwhelming question, as T.S. Eliot called it, of how we're going to organize our lives and what they're going to mean." "A lot of times when you read books about young people with cancer, they're these wise-eyed children with the secret to life hidden inside of them or whatever. But the truth is so much different from that, I think. The truth is that teenagers are teenagers, whether they're sick or well. And whether they're going to exit adolescence or not, they still have to go through this. Hazel has the opportunity to become an adult. Maybe her adulthood won't last as long as we would've liked, but she has that opportunity, so her parents kind of have to let her be a teenager." "That's something that a kid said to me when I worked at the hospital all those years ago that really stuck with me. It stuck with me partly because it's unusual that children are able to imagine their parents complexly enough to understand how difficult it is, and also because I knew how much neither the parent nor the child wanted that to be true, even though it was true." "I'm very fortunate. I know them. I like hearing from them. I feel fortunate to interact with them. I like reading their YouTube comments. I like reading their reviews on book review websites. I like the engagement that we have with each other, because the truth is, the world extends outside the world of books. And I feel fortunate to be able to have a relationship with them outside of the book as well as inside of it."